Earlier this month the Planned parenthood abortion business was caught on video and audio admitting that its abortion clinics do not provide prenatal care. Now, a Planned Parenthood abortion business has been forced to edit its web site after it falsely advertised providing prenatal care. 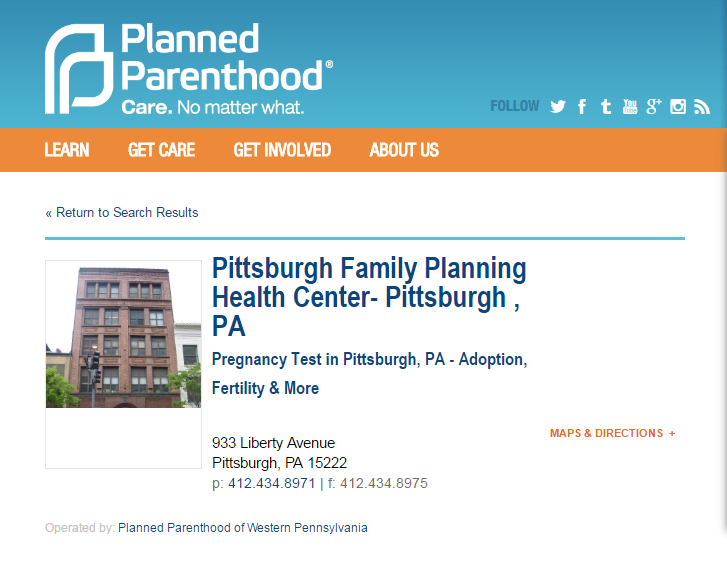 After a new report and video from the PA Family Institute showed each Planned Parenthood affiliate in Pennsylvania does not provide prenatal services, even though they listed ‘prenatal’ online, the abortion giant has since removed ‘prenatal’ from their booking appointments website. ‘Prenatal’ services still appears for each affiliate through internet search engines. 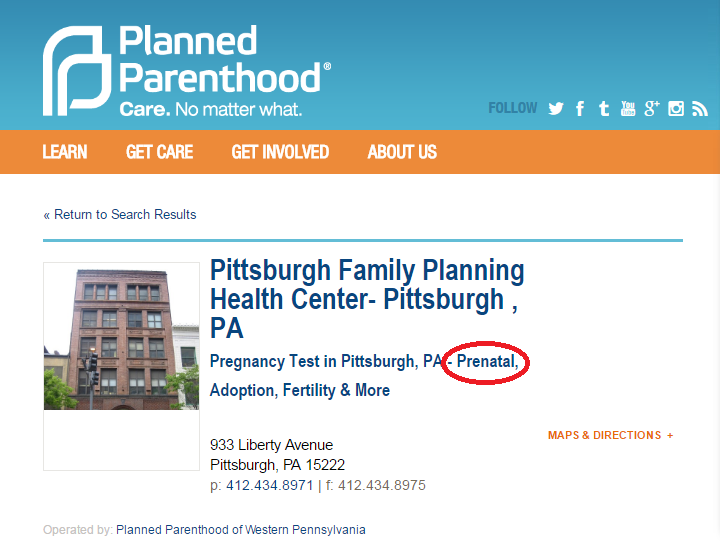 All 27 Planned Parenthood locations in Pennsylvania have listed prenatal as a service yet when we called each one and asked, “Do you provide prenatal services?,” not one had prenatal care to offer. In Pennsylvania, Planned Parenthood accounts for 55 percent of all abortions. When statewide abortions are at an all-time low, dropping nearly 7,000 annually since 2008, Planned Parenthood has a growing market share on abortion; increasing their annual abortions in PA by over 1,500 since 2008. By their own reports, over the last four years, Planned Parenthood has been given over $21 million in taxpayer funding. All the while, there are over 300 community health centers throughout Pennsylvania serving women with comprehensive health care. For more about the extreme activities by Planned Parenthood in Pennsylvania, click here to view the report or go to pafamily.org/extreme.